The questions that were on everybody’s minds at least once in 2017: what is a Bitcoin and how does Bitcoin work? Bitcoin is made up of two words, ‘Bit’ & ‘Coin’. If you cut the information inside computers into smaller pieces, you will find 1s and 0s. These are called bits. You already know about coins. Bitcoins is just the plural of Bitcoin. They are coins stored in computers. They are not physical and only exist in the digital world! That’s why Bitcoin and other cryptocurrencies are often called digital currencies. It can seem quite confusing at first, but in this guide, I’ll make it as simple as possible — welcome to Bitcoin for dummies! By the end of the guide, even total beginners will understand what Bitcoin is, how to get Bitcoin, and how to use Bitcoin. Let’s start! 1 How Does Bitcoin Work? Why Was Bitcoin Invented? 2 How Does Bitcoin Work: What are the Advantages and Disadvantages of Bitcoin? 5 How does Bitcoin work: How do I buy Bitcoin? How Does Bitcoin Work? Why Was Bitcoin Invented? There are three types of people in this world: the producer, the consumer, and the middleman. If you want to sell a book on Amazon, you must pay a big 40-50% fee. This is the same in almost every industry! The middleman always takes a big part of the producer’s money. To understand how does Bitcoin work, it’s important to know why it was created. Bitcoin was invented to remove one type of middleman — the banks. If you need to transfer $5000 from your country to your friend in the United Kingdom, the money must go through a bank in your country. They take a fee for processing. Once the money reaches the bank in the U.K, your friend’s bank charges a fee too. It isn’t just the fees that are the problem, it’s the data they store. Banks store lots of private data about their customers. Many banks have been hacked over the last 10 years, which is very dangerous for the people that use banks. Also, banks can freeze/block peoples’ accounts whenever they want. They have too much control over the people that use the banks and they have abused their power. They played a big role in the financial crisis of 2008, too. Bitcoin started in 2009, just after that crisis. Many people believe that the crisis was one of the reasons for creating Bitcoin. Who created Bitcoin? The creator of Bitcoin is unknown. 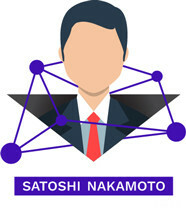 The name used was Satoshi Nakamoto, but this was a fake name and nobody knows who the real creator is. The solution was to build a system that has no single authority (like a bank). A single authority shouldn’t be given the power to control people. The banks and the governments controlled the currencies, so a new currency had to be created. Bitcoin is the solution: it has no single authority. That means no banks, no PayPal, no government to be able to tell the bank to freeze your account. It’s great, right? The question on everybody’s mind now must be ‘how does bitcoin work?’. When you go to your internet browser and type in ‘www.google.com’, your computer starts a conversation with Google’s computers. Then, both computers start talking to each other and your browser shows images, buttons, etc. If Google’s servers were down for some reason, you wouldn’t be able to see these images and buttons. This is because the data is stored on a centralized network — it’s in one place. To understand how does Bitcoin work, it’s essential to understand what’s a decentralized network. In a decentralized network, the data is everywhere. If Google used a decentralized network, you would still be able to see the data, because it is everywhere and not just in one place. This means that Google would never go offline! In World War II cryptography was used a lot. It converted radio messages into code that nobody could read. To read it, you would need to convert back to the original message. To do that, you needed a key. It was possible through mathematical formulas! Bitcoin uses cryptography to in the same way. Instead of converting radio messages, Bitcoin uses cryptography to convert transaction data. That is why Bitcoin is called a cryptocurrency. Knowing that takes you one step closer to understanding how does Bitcoin work. Bitcoin does this using the blockchain. Bitcoin’s creator invented the blockchain technology! Last week when John visited the bakery, only one cake was left. Four other people wanted it too. Normally, the cake only costs $2. But because 4 other people wanted the cake, he had to pay $10 for it. This is the main concept of supply and demand: when something is limited, it has more value. The more people that want it, the more the price of it will go up. It’s the same as rare vintage cars. Bitcoin uses this same concept. The supply of bitcoin is limited. Bitcoin is produced at a fixed rate, which will decrease over time — it halves every four years. Bitcoin has a limit of 21 million coins; once there are 21 million Bitcoins, no more Bitcoins can be created. How many Bitcoins are there at the moment? Well, currently (03.05.18), there are 16.9 million Bitcoins created. We’ve still got a long, long way to go before it reaches 21 million! How Does Bitcoin Work: How Do Transactions Happen? Now, let us see how these concepts work together. To record transactions, we need to put them in a database (like an Excel sheet). This would normally be stored in one place in a centralized network. But because Bitcoin uses a decentralized network, the Bitcoin database is shared. This shared database is known as a distributed ledger and it is accessed using the blockchain. To learn more about blockchain technology and understand how does Bitcoin work from the blockchain perspective better, read my Blockchain Explained guide. To send Bitcoin to someone, you need to digitally sign a message that says, “I am sending 50 Bitcoins to Peter”. The message would be then broadcasted to all the computers in the network. They store your message on the database/ledger. How Does Bitcoin Work: Can Someone Fake My Identity? 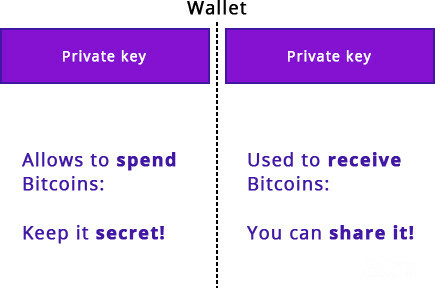 When you create a Bitcoin wallet (to store your Bitcoin), you receive a public key and a private key. Public keys and private keys are a set of long numbers and letters; they are like your username and password. Both are very important for truly understanding how does Bitcoin work. People need your public key if they want to send money to you. Because it is just a set of numbers and digits, nobody needs to know your name or email address etc. This makes Bitcoin’s users anonymous! As for your private key, you should never let anyone see it. On the blockchain, your private key is your identity. You use your private key to access your Bitcoin. If someone sees it, they can steal all your Bitcoin — so be very careful! So yes, technically, your identity can be faked. If someone gets your private key, they can use it to send Bitcoin from your wallet to their wallet. This is why you must keep your private key very, very safe. Your real identity (your name, address etc.) cannot be faked, though, because you do not need to use it to send or receive Bitcoin. How Does Bitcoin Work: Can Someone Spend Bitcoin Twice? Bitcoin transactions are grouped together and stored in blocks. These blocks are linked back to one another in a series. This is why it is called a blockchain. Each transaction in the block has a public key written on it. If it is your Bitcoin, it will be your private key that is written on it. Because each block is connected to the block before it, no Bitcoin can be spent twice. How Does Bitcoin Work: What If Someone Tries to Tamper the Blocks? If someone tries to change the transaction data in one of the blocks, it will only change it on their own version, just like a Microsoft Word document that’s stored on your computer. To make the change go onto the shared database so that it’s on everybody’s version, they will need to control 51% of the computers in the network. How Does Bitcoin Work: What If Someone Controls 51% of the Computers In the Network? This is possible, but it is near impossible to achieve. Even if someone hacked 51% of the computers in the network (also known as nodes), there is another layer of security that gets in their way. To add new blocks to the blockchain, they must be mined. This process is called mining because the nodes that do it are rewarded with Bitcoin — like gold miners being rewarded with gold. In mining, the nodes must process Bitcoin transactions and verify that they are real. To do this, they must solve a mathematical problem. When the problem is solved, the block of transactions is verified, and a new block is created. Each block has a new problem and a new solution for miners to find. The first node to solve this problem gets new Bitcoins. Mining uses a lot of electricity, so the miners need to be rewarded! As you can see, it’s almost pointless for a hacker to complete an attack on the blockchain. That’s why it is so secure. 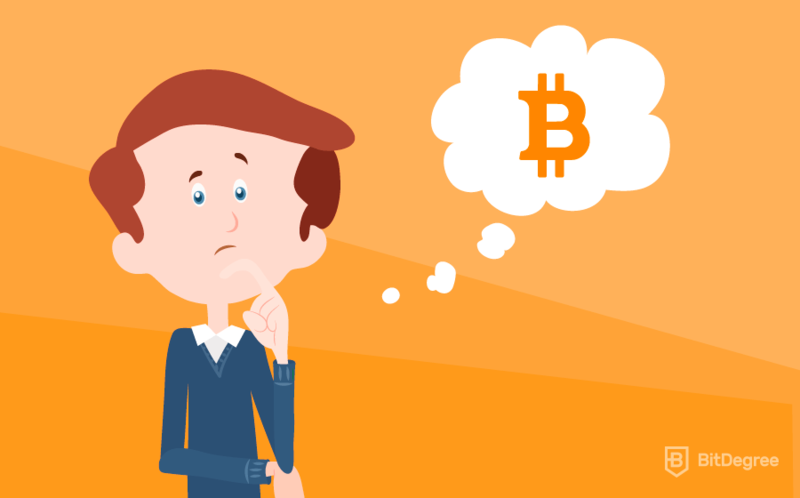 How Does Bitcoin Work: What are the Advantages and Disadvantages of Bitcoin? You should already know what most of the advantages of Bitcoin are after reading this far into the guide. However, I haven’t talked much about the disadvantages, have I? There are still some advantages I haven’t talked about too though, so let’s start with the advantages and then I’ll look at the disadvantages. Then you will fully know and be an expert on how does Bitcoin work question. With Bitcoin, anyone anywhere in the world can send money to each other. There is no KYC (Know-Your-Customer) process — you don’t have to use ID to open a Bitcoin wallet. With a bank, you must use your ID when you apply for an account. Because of this, hundreds of millions of people around the world do not have bank accounts. They cannot send or receive money. But now, with Bitcoin, they finally can! If you want to send an international payment, it will normally take 3+ days with your bank and cost you a fee of around $10-15 or more. It’s different in each country, but it’s still expensive and takes a long time. If you send it using Bitcoin, it will only take around 10 minutes. Sometimes it takes longer (up to an hour or more), but it is still much quicker than the 3+ days that the banks take. The fee for Bitcoin changes often and the developers are trying to keep it as low as possible. At present (03.05.18), it is around an average of $1. It is cheap because there is no middleman (banks, PayPal etc.) to pay! This what Bitcoin is all about. ✗ Difficult to use — private keys, public keys etc. Bitcoin started in 2009, remember? Well, that’s almost 10 years ago! Since then, a lot of newer cryptocurrencies have been made that are a lot faster than Bitcoin. Also, Bitcoin’s fees have sometimes increased as high as $28! The fees got high because the popularity of Bitcoin was too much for the Bitcoin network to deal with — there were too many people using it. This is something the Bitcoin developers are trying to improve, and so far, it seems to be working. As I said earlier, the Bitcoin fees are back down to $1! Private keys, public keys, opening and using a wallet etc. It’s not very easy for people who aren’t confident using computers. When you want to send a payment to someone, you must type a long set of numbers and letters (their public key) into your computer. This is like when internet browsers first started — you had to type a long number into the address bar. Later, the (www.) addresses we use today replaced it. Bitcoin needs to become easy to use so that everyone in the world can use it, just like browsing the internet is. As I said earlier, electricity costs for mining are high. The miners are rewarded with Bitcoin, so they are still making a profit. However, the electricity used by miners is very bad for the environment (now you know some downsides of the question about how does Bitcoin work). Other cryptocurrencies, such as NEO and Lisk, are using a different mining system that uses much less electricity. This system is called PoS (Proof of Stake). Remember that in Bitcoin’s system, the miner that verifies the block first is the one who is rewarded with Bitcoin? That system is called PoW (Proof of Work). It’s like a race, isn’t it? All the miners work on the same block at the same time, trying to win the race. This means that all miners are using electricity on every block that is created. In PoS, only one miner can mine the block. When the next block is created, another miner is chosen to mine it. This way, it is only one miner using electricity on each block. That’s much cheaper and better for the environment! Because you don’t have to use your identity, Bitcoin has been in the news a lot for being used by criminals. You might have heard of something called Silk Road. This was a market on the dark web — an anonymous part of the internet that must be opened using a special browser. On Silk Road, you could buy lots of illegal things, and Bitcoin the currency that it used. Silk Road started in 2011 but was shut down in 2013 by the FBI. This was very bad for Bitcoin, and some governments have tried to ban Bitcoin for this reason. It is the biggest example of how Bitcoin can be abused, although, crime can happen with all currencies. How does Bitcoin work: How do I buy Bitcoin? You know what Bitcoin is, how it works, what it’s good for and what it’s bad for. The only thing left is to know how to buy it. So, how do you buy Bitcoin? This is the simplest way, but you normally must use your identity. This means using your name, address and a passport/driving license. Fees for broker exchanges normally cost between 1-5% but it depends on your location on how you pay. The good thing is, you can pay using bank transfer, debit/credit card, and even PayPal. I recommend Coinbase because it’s easy to use, reliable and you can use PayPal. If you don’t live in Europe, Australia or North America though, I recommend Coinmama. 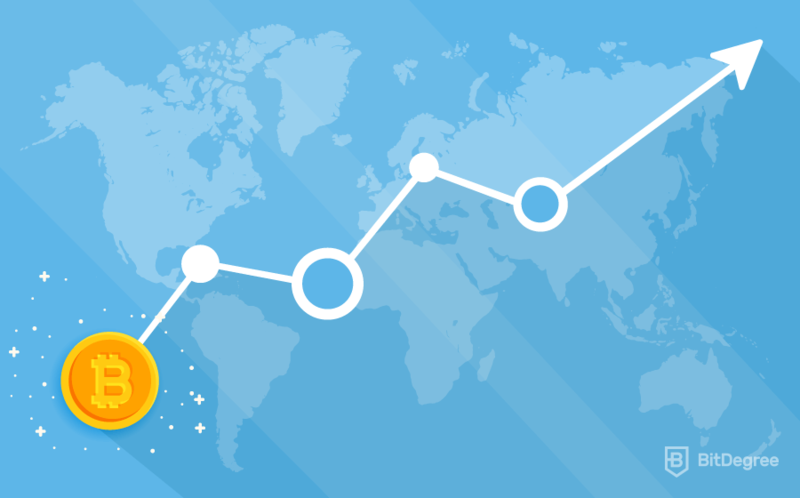 Using a broker exchange is a bit like when you go to a travel agent to convert your local currency into a foreign currency (like USD for JPY, for example). However, with Coinbase and Coinmama etc., the broker is converting your local currency into Bitcoin. These are like broker exchanges, but they don’t use a middleman — there is no broker. For example, John can send money to Amy, and Amy will send John some Bitcoin. There is no broker, so they pay no fees! Amy will always have to pay John the Bitcoin because P2P exchanges use an escrow service. When John asks Amy for the Bitcoin, the Bitcoin is sent into the escrow. When John pays Amy his money, the escrow sends John his money. John and Amy have no control over the escrow, so it is always fair. And fair trade is one of the essentials on understanding how does Bitcoin work. Some sellers on P2P exchanges will ask you for ID, but some sellers won’t. So, it is possible to use P2P exchanges to buy Bitcoin anonymously. You can even pay in cash (paper money)! You can also pay with bank transfer! I recommend using LocalBitcoins. This is the least common way to buy Bitcoin. 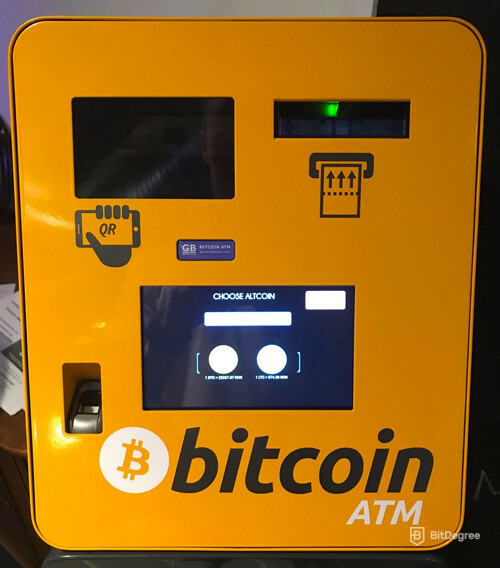 There are not many Bitcoin ATMs in the world, so you will have to use this map to see if there is one near you. If there is, you can go to it and buy your Bitcoin using cash, but the fees are expensive — 5-10%. To learn more about Bitcoin ATMs, P2P exchanges and broker exchanges, read our How to Buy Bitcoin guide. In that guide, I give you full instructions on setting up your wallet, verifying your identity and buying Bitcoin with each payment method. The invention of Bitcoin is only the beginning. Some people are using Bitcoin and other cryptocurrencies instead of banks, but it still hasn’t completely replaced banks. What are your thoughts? Do you think that Bitcoin will replace banks? Or does it need to improve first? By answering the above questions, you can test what you have learned in this guide. You can also try to answer the question “how does Bitcoin work?” in just three sentences. Try it — it’ll help you remember what you’ve learned. Post your answer in the comments! Bitcoin Price Prediction: Will Bitcoin Crash or Rise?